The best way to avoid oral health problems is to visit your dentist for regular checkups and cleanings. We also offer sealants, fluoride treatments, and wisdom tooth extraction. Our regular checkups can include oral cancer screenings, digital x-rays, and in-depth examinations using an intraoral camera. We can also accommodate special needs patients. Dr. Karafin sees patients age three and older, and he prefers a gentle introduction with a short initial appointment. During these short visits, your child will enjoy a fun ride in the dental chair. 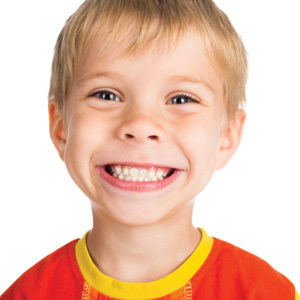 Be sure to let us know if you have any oral health concerns about your little one. During regular appointments, kids can watch cartoons on a television in the treatment room, and select a prize from the treasure chest before heading home. A root canal is a process of treating advanced tooth decay. Dr. Karafin will remove the infected inner pulp of the tooth, preserving the healthy outer of the tooth. The remaining tooth structure will be sealed, and is usually covered with a custom dental crown. Today, this time-tested family dentistry treatment is virtually painless. Contact our Mission Viejo practice to learn more. Left untreated, gum disease can progress to cause a long list of symptoms, and it will ultimately destroy teeth, gums, and jawbone tissue. Checkups and dental cleanings every six months can keep your smile free of gum disease, but if the condition develops, Dr. Karafin and our team can provide scaling and root planing, bone grafting, and gum therapy to restore your smile. Custom mouthguards can preserve the health of your smile in many situations. We provide mouth guards designed to relieve symptoms of temporomandibular joint (TMJ) disorder, sleep apnea, and teeth grinding. We also provide custom mouth guards for athletes to wear while playing sports. 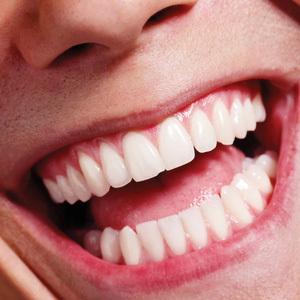 Your teeth are precious, and we can help you protect them! It is always Dr. Karafin’s goal to preserve the health of your natural teeth, but severe trauma, decay or infection may mean a tooth needs to be extracted. Extractions are also performed to relieve overcrowding in young orthodontia patients, or to remove erupted wisdom teeth. Dr. Karafin performs routine dental extractions using local anesthetic and also provides the option of nitrous oxide. He and his staff are experienced working with children and know how to make the process as painless as possible. When an unexpected dental trauma occurs after business hours, call Dr. Karafin’s office immediately. He understands that accidents do not always happen at the most opportune time. If you experience an acute toothache, chipped tooth, lost tooth, or other dental emergency, we will make room in our schedule to see you as soon as possible. You can rest easy with the knowledge that if you leave an urgent voicemail, we will return your call as soon as possible.